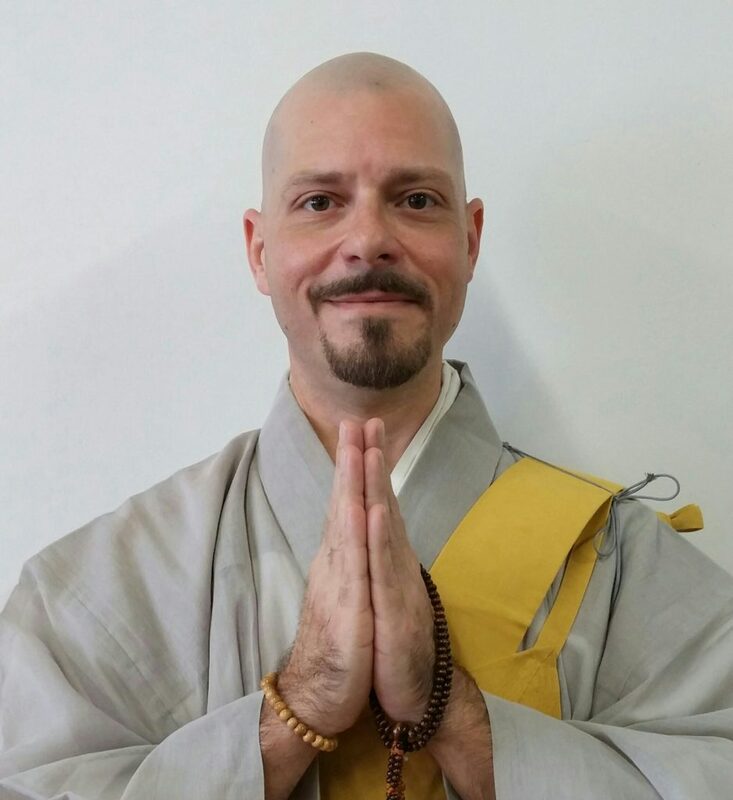 Shami Kanyu 観涌 Kroll is the founder and acting minister of 祥栄山円教寺 Shoeizan Enkyoji Buddhist Temple of Rochester as well as our head of International Propagation for 円教寺 Enkyoji Buddhist Network. Shami Kanyu 観涌 is under the guidance of and is a direct student of Abbot Kanjin Cederman Shonin. Kanjin Shonin is Abbot and head priest of 長栄山円教寺 Choeizan Enkyoji Temple of Seattle and 祥栄山円教寺 Shoeizan Enkyoji Buddhist Temple of Rochester and the 円教寺 Enkyoji Network of Nichiren Shu Buddhist Temples and Sangha World Wide. Born and raised on a wheat farm in rural Eastern Washington State, Kan-e grew up with the help and support of a large family network. After graduating from Gonzaga Preparatory School in 1990, he resettled into the Seattle area to attend university. After working in the service industry for many years, he eventually transferred his skill into trade school, graduating from Greenwood Academy of Hair in 2009. Kan-e presently works as a barber in the Spokane area. 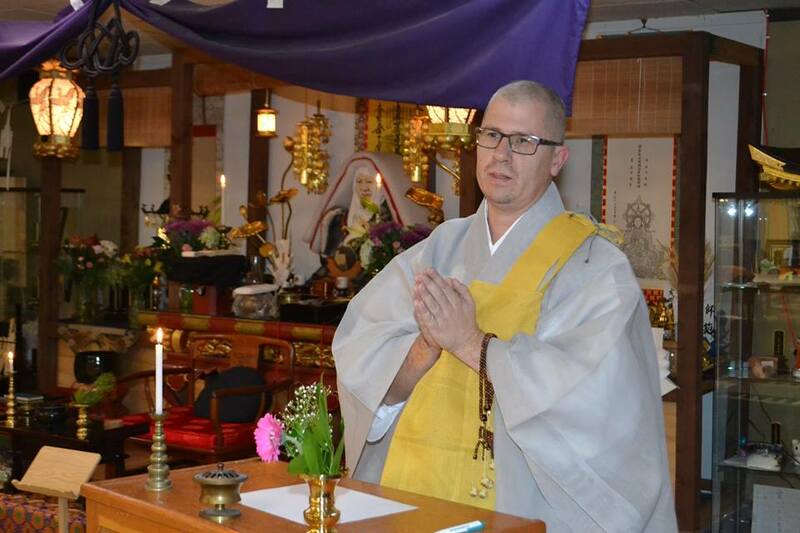 "After I attended my first Nichiren Shu Buddhist service, I was hooked! As we were chanting, I kept picturing Tina Turner sitting next to me - she herself bring a Nichiren practitioner. I felt right at home with a very diverse sangha." Kan-e became involved in the Lay Leader program, eventually attending a seminar for the sangha leaders at the home temple Kuonji in Minobusan. He continued to study and practice under the tutelage of Kanjin Cederman Shonin, head priest of Choeizan Enkyoji Buddhist Temple in downtown Seattle. Moving back to his former city of Spokane, WA in May of 2016, Kan-e began the Enkyoji Buddhist Sangha of Spokane. His mission is to spread the teachings of the Dharma in Eastern Washington. This is one of the many satellite Sanghas making up the Enkyoji Buddhist Network. 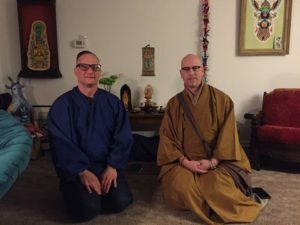 Kan-e is a disciple and Shami under the direction of Kanjin Cederman Shonin Abbot of our Seattle Temple. Shami Kanjo Grohman is our Enkyoji Leader in Buffalo New York. He shepards both our Enkyoji Buddhist Sangha of Buffalo & Dharma Club.